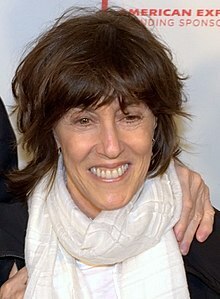 Nora Ephron (EHF-rihn; Mey 19, 1941 – Juin 26, 2012) wis an American jurnalist, essayist, playwricht, screenwriter, novelist, producer, director, an blogger. ↑ "Delia Ephron on the Closeness and Complexity of Sisterhood". Fresh Air. NPR. December 9, 2013. Event occurs at 1:18–1:44. Retrieved December 11, 2013. Interview.